Brain Cell (Neuron) under a microscope! The little grey cells that make up your mind are primarily neurons. You have approximately 100 billion of them in your head! The typical neuron is connected to thousands of others forming an inconceivably dense signal-processing network. With over a 1,000 trillion connections, or synapses, in your brain, there are more transmission-pathways in your head than there are atoms in the universe. 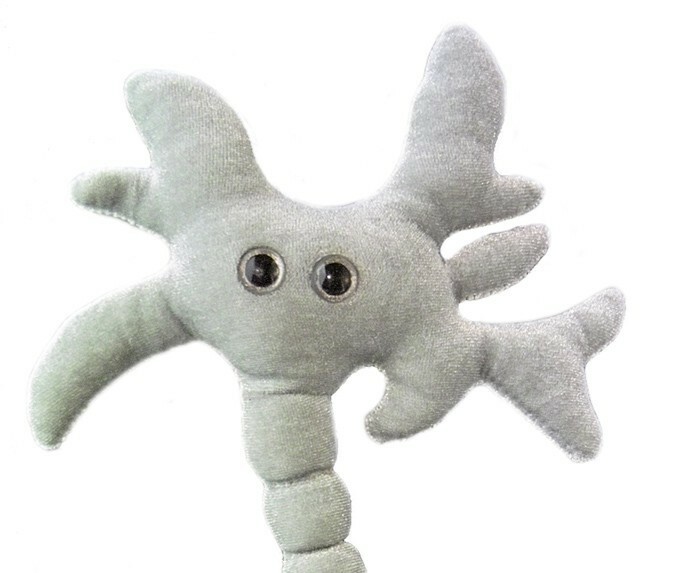 But before you let that go to your head, think about this: the number of synapses peaks in early childhood, so the average three-year-old has ten times as many as the average adult! Of course, a linear relationship between synaptic-density and cognitive ability has never been scientifically demonstrated. (If you need help with that sentence, ask a toddler). But measuring brain-power doesn’t have to be tricky: research shows that there is enough electrical power flickering in your neurons to illuminate a flashlight bulb. Or build one. It just depends how you think about it. All a single neuron can do is flash a small signal on to its neighbors – and only when enough incoming synapses are active. But together, they bestow upon us action like an angel, and apprehension like a god. Or do our thoughts animate them? Cogito ergo sum. 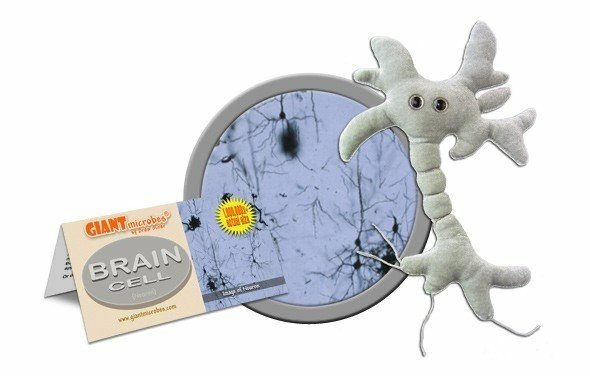 Brain cells, or neurons, are the building blocks of the nervous system. They are designed to receive and transmit information. 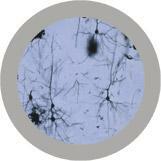 The cell body has branching dendrites coming off of it in order to receive signals from other neurons. Sensory Neurons: bring information from the 5 senses into the central nervous system. 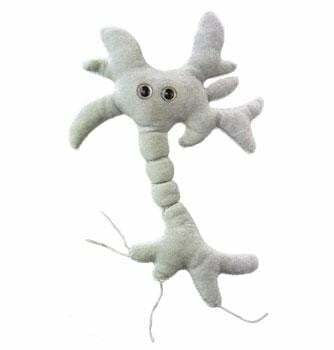 Motor Neurons: send information from the central nervous system to muscles and glands. Interneurons: send messages within the central nervous system. This types makes up the majority of neurons. German scientist Heinrich Wilhelm Gottfried von Waldeyer-Hartz gave this cell the name “neuron” in 1891. Diameter varies from 0.004mm, where you could fit 30,000 neurons onto the head of a pin, to 0.1mm, the thickness of a sheet of paper. The length can range from less than an inch to many feet. 1838: Mathias Jakob Schleiden and Theodor Schwann proposed the theory that the nervous system should theoretically be composed of cells like all other organic tissue. 1906: The Nobel Prize in Medicine and Physiology was awarded to Santiago Ramon y Cajal and Camillo Golgi. Cajal improved the techniques of Golgi, which involved staining neurons for observation. Neurons can’t regrow after damage, but new connections between neurons form throughout life. The Theory of Everything: Stephen Hawking struggles with ALS, a motor neuron disease. Neurons to Nirvana: A 2013 documentary about psychedelic drug research. NeuroN Music: A K-POP band.